The ADB completed a feasibility study in 2005 that was updated in 2008. Details were outlined at the April 2008 meeting of the four participating countries. The ADB reported that the estimated capital cost was $7.6 billion, and said it would consider financing for the project. Turkmenistan promised independent certification of the gas available for the pipeline. Plans called for the line to be built and operated by a consortium of national oil companies from the four countries. A special-purpose financial vehicle would be floated, and international companies would likely join in laying and operating the pipeline. 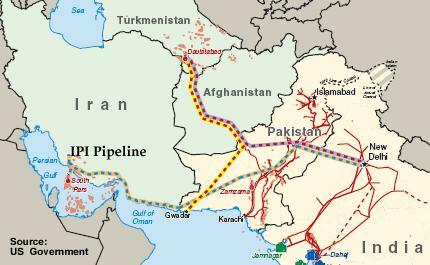 According to press reports, the Afghan delegation informed the meeting that more than 1,000 industrial units were planned near the pipeline route in Afghanistan and would need gas for their operation. They said 300 industrial units near the pipeline route had already been established, and the project’s early implementation was essential to meet their requirements. If the pipeline goes ahead successfully, it could be Afghanistan’s largest development project. According to the Ambassador of Afghanistan to Canada, transit revenue could amount to US$300 million per year. That would represent about one-third of the domestic revenue (US$887 million in 2008/09) budgeted for development efforts. Transit fees could help pay for teachers and infrastructure. Even so, Afghanistan’s domestic revenue is dwarfed by aid. Foreign donors contribute about 90 percent of total funding for the development budget, and they call the shots. At the time, the Taliban controlled 90 percent of Afghanistan but not the area held by the Afghan Northern Alliance. Unocal testified to Congress that the pipeline “cannot begin construction until an internationally recognized Afghanistan government is in place. For the project to advance, it must have international financing, government-to-government agreements and government-to-consortium agreements.” The Bush Administration urged the Taliban regime to form a government of national unity that would include the northern tribes. Bridas took a different approach—they negotiated separately with different tribes. The president of Bridas spent eight months visiting tribes along the pipeline route and reportedly had secured their cooperation for the venture. Disagreement exists on how much gas the country actually holds. According to the BP Statistical Review 2009, Turkmenistan has the world’s fourth largest reserves of natural gas, 7.94 trillion cubic meters (TCM), exceeded only by Russia, Iran and Qatar. Turkmenistan’s 2009 ranking represents a sharp upgrade from 2008 (2.43 TCM). The new estimate follows the 2008 audit of the huge South Yolotan-Osman field in western Turkmenistan, conducted by the UK auditing firm Gaffney, Cline & Associates. The audit estimated the reserves of this field alone to be between 4 and 14 TCM of gas, making it the world’s fourth or fifth largest field. John Foster is a Canadian energy economist with worldwide experience in energy and development. He has held posts with the World Bank, the Inter-American Development Bank, British Petroleum and Petro-Canada.